"Artificial reef may restore beach"
The Stanley's Reef Foundation is pleased to announce that its project will now be spearheaded by B.E.A.C.O.N., a joint powers authority whose board consists of mayors, supervisors, and council members of the coastal cities and counties between Santa Barbara and Port Hueneme. A grant package was submitted by Beacon and approved by the County of Ventura for a Coastal Recreational Resource Grant. This grant will fund the project to restore the waves at Oil Piers Beach found at Seacliff in Ventura County. The foundation is hoping for good news in mid-September from the California State Resource Agency. This is the state agency responsible for awarding and allocating grant money of this kind. Beacon will be managing the grant funds and will be filing for coastal permits. Stanley's Reef (an environmentally benign structure) was selected to help manage active coastal erosion. This selection is based on Section 227 of federal legislation dedicated to providing support for innovative private technology with respect to coastal shoreline erosion. This Act of Congress mandates the Army Corp of Engineers to select a few of the best, coastal erosion management projects on each coast. The selection process is done with assistance from prominent experts from key universities in this field of study. The demonstration project will be conducted at the site of Oil Piers Beach in Ventura County. This is adjacent to the site of the original site of Stanley's Steak House and surfing reef of the same name. Both were lost to freeway construction in the early '70's. The permitting, final surveying, and engineering will still need to be performed and approved before the reef can be anchored to the bottom to bring back the waves and eco-system lost years ago. portable Waveloch Flowrider designed for the Swatch Mobile Wave Tour. Stan has influenced the surfing world in many ways through the development of shaping machines, boards used in the Flowrider, technology to produce surf and sailboard fins and through the development of production equipment for surf wax and deck pad manufacturers along with computerized machinery for producing sailing related products. His latest endeavor involves producing small, highly advanced beacons which to deter dolphins from commercial fishing nets. Similarly, Bruce continues to lead innovative work through the development of advanced concepts in flow dynamics at American Wave Machines. Stan Pleskunas can be reached at pleskuna@got.net Bruce Mcfarland can be reached at bruce@mill.net. The 15-16th of September is the 15th Annual "C" Street Longboard Championships, a contest held to benefit the Stanley's Reef Foundation. The event last year was one for the history books with both incredible surf and surfing legends making their appearance. John Peck, Rabbit Kekai, Paul Strauch, Kemp Arberg, Mickey Munoz, Tom Morey (Y) and Wingnut paddled out and put on a surfing tutorial for the large, appreciative crowd. This year the legends will return in the Legends Exhibition Heat to pay homage to one of the true pioneers of longboard surfing…Rabbit Kekai. The event is a fun filled weekend with good food, great vibes and incredible surfing. Stanley's Reef will be there with the latest "y" reef design, churning out mini-surfing waves in a working wave tank. Stanley's Reef and BEACON invite you to come out and make a 2-3 inch wave. Thanks to Betty Elder for putting on this event every year (bird1@jetlink.net) for fifteen years. 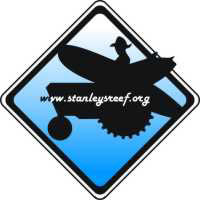 Stanley's Reef Foundation is a Non Profit Organization. celebrate the Surfrider's Ventura Chapter birthday. Bring your dancing shoes and ten bucks to get in the door (Kids under 12 years old are three dollars). Stanley's Reef is a Hawaiian foundation, established after the volcano, Mauna Loa, took out over a dozen surf locations on the Big Island. The surf vanished, forcing innovative people to dream of new ways to return the waves to the children of the sea. Stanley's Reef was born from this thinking. Stan Lawrence (stan@surfolhawaii.com), owner of Orchidland Surf Shop in Hilo, has been supportive and active on the concept of bringing waves back to the Big Island. Peter Bethune lives in the Gold Coast of Australia and continues to be a major force behind the Stanley's Reef "cause." Peter supports the idea because he knows the reef is designed to hold sand and that successful implementation may eliminate the need for invasive practices such as periodic beach enhancement/replenishment, which is widespread in Australia. 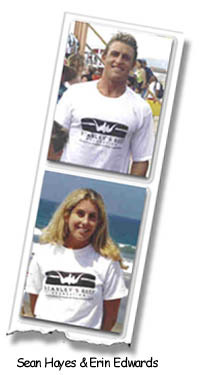 Peter now holds a PhD and is passionate about bringing a few more good waves down under with this advanced technology. Peter can be reached at dpbethune@optusnet.au. Special thanks to Michael Richard surfcrazy@sbcglobal.net of Stanley's Surf Gear for his initial development of our web page and continued support. Mike has some great tee shirt designs featuring original Stanley's Reef/Oil Piers memorabilia. Thanks also go out to Mike Artman of Namtra Digital Media www.namtra.com for working on the Stanley's Reef web site.